"It's totally cool to Slurp Yo' Oysters!" ... permission to do so straight from the menu? we happily obliged! 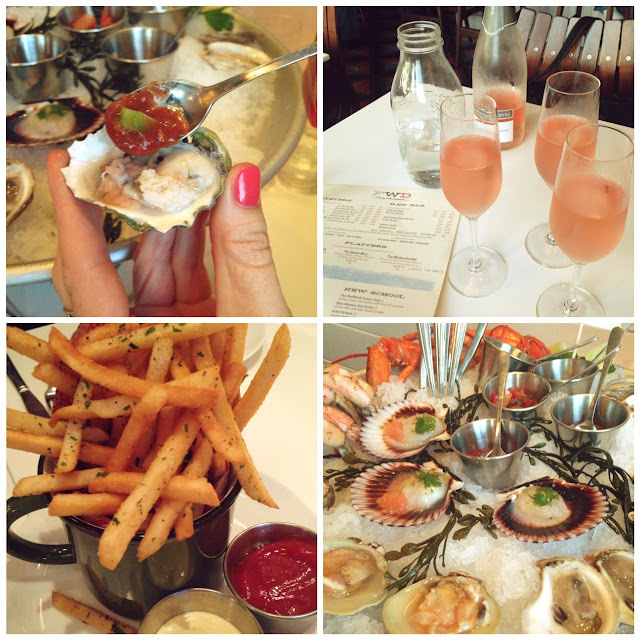 we started off with a perfectly chilled bottle of rosé and an assortment of oysters, shrimp, scallops, and lobster served on ice. shucked live upon each order, these are the freshest oysters i've ever had. we alternated between saucing them up with cocktail, ponzu, pico de gallo and mignonette for the oysters then yuzu koshu mayo, saffron aioli, and remolaude for the shellfish, mmm-ing at each unique option. my personal favorite is the peruvian scallop. it's so beautiful! presented on a shell with a bit of grapefruit, it is simple & delicate. 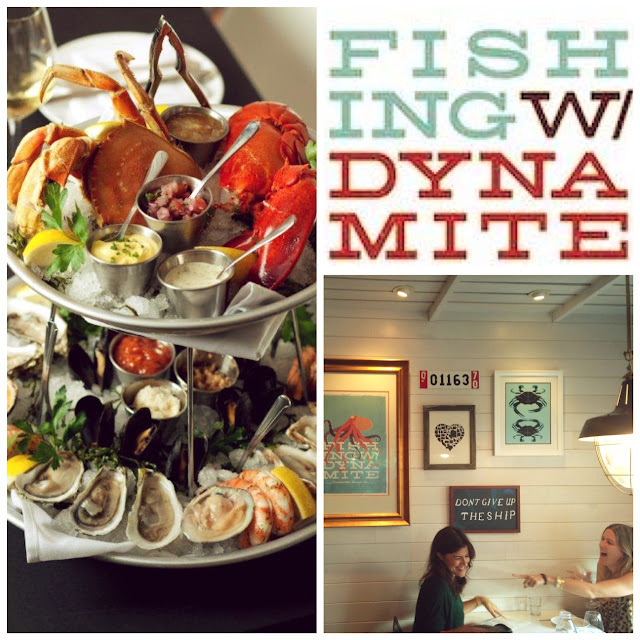 all of this deliciousness resides in a chic, cozy space and how creative is the name Fishing with Dynamite? not only that, but the décor is super personal and with the staff's sunny energy you really feel like you're hanging out in Chef David LeFevre's cool little beach bungalow (which with his warm demeanor is exactly how he wants you to feel). also, his playlist jams! one of their signs proclaims "every pearl has its oyster" and FWD is truly a gem. you can take my word for it but Los Angeles Magazine recently named Fishing with Dynamite as the best oyster bar (just one of LeFevre's MANY accolades - check him out). i happen to know that Chef David loves when his girlfriend wears kai. he told me, "kc wears it and i love it because it smells so fresh. not too flowery but not too sweet." ...and i wasn't even fishing for a compliment!